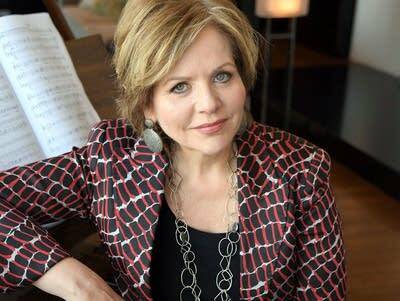 Opera superstar Renee Fleming will be in Aspen to host a Master Class Thursday, July 27 and then to sing in a concert Sunday, July 30 at 4:00 pm at the Tent. APR Classical Host Chris Mohr had a phone chat with Renee, touching on her student days in Aspen, her upcoming Broadway performances in Carousel through much of 2018, and more. Also in this week's Festival Showcase: Pianist Inon Barnaton and composer Alan Fletcher talk about the world premiere of Fletcher's Piano Concerto. And Michelle deYoung talks about her unusual Master Vocal Classes and her recital Tuesday, July 25. Plus the winner of the AMFS Piano Competition, Avery Gagliano, who will be performing Mozart's 25th Piano Concerto on Wednesday evening July 26.